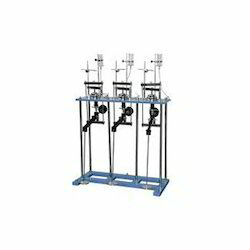 We are engaged in manufacturing, exporting and supplying an excellent variety of Soil Mechanics Lab Equipment. Offered lab equipment is used for determining behavior and characteristics of soil. This equipment is manufactured at our well-equipped production unit by our proficient professionals using supreme quality components. Offered Soil Mechanics Lab Equipment can be availed by our clients in various technical specifications at the most affordable prices. 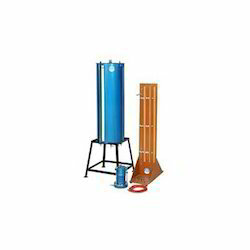 This product is used for the compression test of soil. 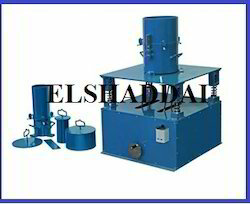 It can test the relationship between deformation and stress of soil or Void ratio and stress or Deformation and time. It can calculate soil Unit of settlement, the compression coefficient, the springback index, compression modulus, the coefficient of consolidation etc. Constant Head Permeability Set is used to determine the permeability of granular, gravel and sand soils. The specimen is formed in an acrylic permeability cell, and water is passed through it from a constant level tank. 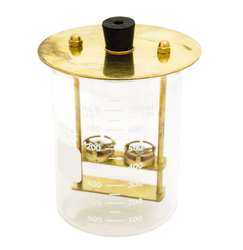 The permeability cell has pressure points at different levels which are connected to the manometer tubes fixed on a stand with graduated scale. Two constant head permeability cells are available: 75 mm and 114 mm diameter. Constant Level Water Tank Should be ordered separately. 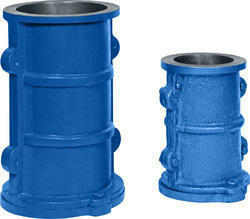 • SO-5462 | Constant Head Permeability Cell, 75 mm dia. This Apparatus is used to determine aggregate impact value of coarse aggregate. The hammer of the tester fall freely from 380 mm height on coarse aggregate for 15 times/15 sec.the crushed aggregate removed from the cup ,then sieved and weighed. 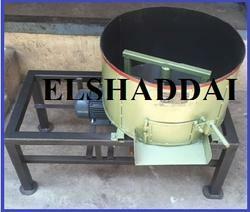 The % ratio of the weight passing 2.36mm sieve and weight of oven dried sample is Aggregate Impact value. The instrument consists of a circular base with two vertical guides. The hammer of weight 13.75 ±0.25 kg can be raised to fall freely down the vertical guides. The height of fall can be adjusted through 380 ± 5mm. The hammer is provided with a locking arrangement. The hammer falls freely to the base and is removable for emptying. Supplied complete with metal measures 75mm dia x 50mm high (for specimen preperation) and tamping rod 230mm long x 10mm dia. Specifications : These are available in different sizes and are made according to Indian and British Standards. For the metric size cube moulds, the faces are machined flat to +/-0.02mm accuracy and finished to within 0.02mm. For the inch size moulds, the faces are machined flat to +/-0.01 inches and finished to within 0.01 in. All moulds are supplied complete with base plate. Cube Mould mild steel for 7.06cms cube with loose base plate. ISI marked - Cube Mould, cast iron, 15cm, Weight- 14 kg. According to different materials and produce process, test sieves can be divided into brass mesh test sieves, woven mesh test sieves. perforated plate sieves and grid sieves. Special sieves are available, such as half height sieves, micro plate sieves, wet washing sieves, extra depth sieves, air jet sieves, grain Sieves. 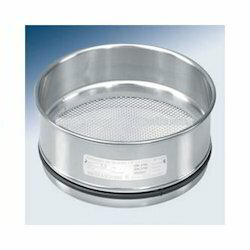 For instance, stainless steel half height sieve and microplate sieve with woven wire mesh in diameter 30mm to 120mm used to sieve silica from a particle size of 500 microns to 20 microns. Stainless Steel Testing SieveSS Frame/SS Wire. 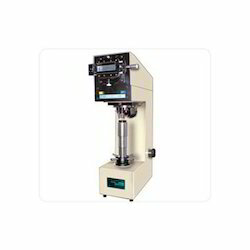 Conforming to the specifications and tolerance in accordance to I.S.-1205 used for the determination of the temperature at which a sample of bituminous material loaded by a 9.5mm. steel ball drops a specified distance when heated under specified conditions. Comprise a water bath of heat resistance glass, two tapered rings, two Ball Centering guide, two steel balls of 9.5mm dia and a ring holder. Steel: two steel balls of 9.5mm dia and a ring holder. 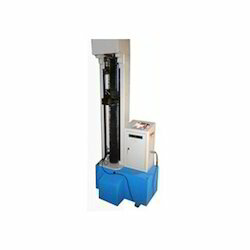 The machines are capable of giving accurate date on the physical properties of materials in a rapid and simple manner. 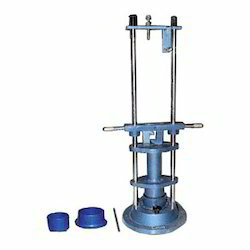 Suitable for conducting tensile tests on materials aluminium, rubber, plastic, leather, asbestos, PVC, etc., as per various standards like IS, BS, DIN, ASTM etc. The specimens in shapes of wires, cables, dumbbell, and strips can be tested by selection of appropriate grips. 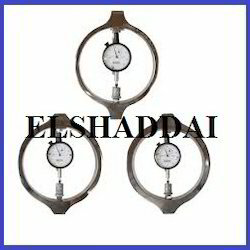 Vickers Testing Machine “Elshaddai’s” Vickers Hardness Tester is a simple and accurate means to produce and measure the diamond indentation. These testers are suitable for measuring the hardness of precision metallic parts with wide testing range from soft to hard and their accurate results are widely acclaimed. Sieve Set as per ISS No.53,75,106,150,212,300,425, 600,850,1700. The equipment consists one each of: Vibratory table, with a cushioned steel vibrating decks about 75cm x 75cm. 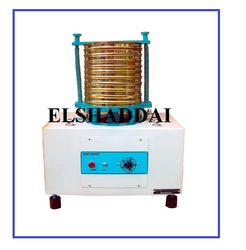 It has a frequency of approximately 3600 vibratory table, minute under a 11.5kg load. Amplitude is variable in between 0.65mm in step of 0.05 to 0.25mm, 0.25 to 0.45 mm and 0.45 to 0.65mm. It is Suitable for operations on 415V, Three Phase supply, cylindrical metal unit weight mould, 3000ml. Capacity, Guide sleeve with clamp assembly, Surcharges base plate for mould, Handle for surcharge base plate, Surcharge weight. The total weight together with surcharge base plate and handle is equipment to 140 kg./sq. cm. for mould. Cylindrical metal unit weight moulds 15000 ml. capacities. (Total weight together with the above mould & surcharge weight is equivalent to 140 kg./sq. cm) dial gauge 0.01mm x 50mm travel. Extension piece 25mm for dial gauge. 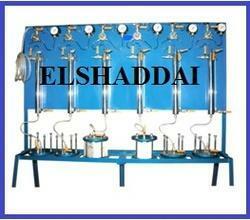 We are suppliers of Concrete Permeability Apparatus. 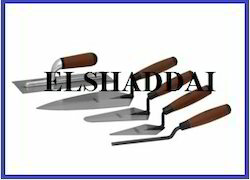 Looking for Soil Mechanics Lab Equipments ?